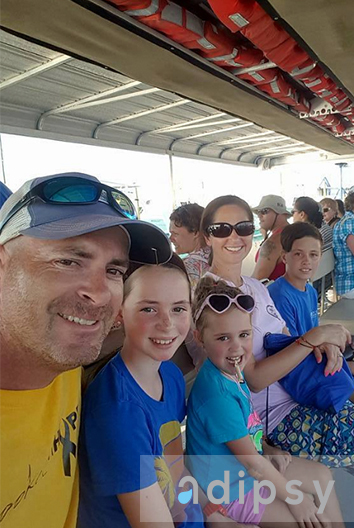 Here’s what one family had to say after a getaway to the OBX! We are so thankful to Adipsy for providing our family with a getaway vacation packed full of fun! We spent an adventurous week in the adorable, quaint, tiny town in North Carolina called Manteo. Adipsy provided everything we needed for a fun week! We just needed to show up! We stocked our vacation house filled with food thanks to a gift card Adipsy provided us. Adipsy created an amazing itinerary for us! Every day was filled with adventure! From dolphin watching to shrimp catching, our week was packed with fun! Respite getaways like these are critical for cancer families to escape, reconnect and LIVE! We are thankful for what Adipsy is striving to do for cancer families like ours. Thank you Adispy for helping our family reconnect and relax! See how you can help cancer patients and the families getaway!